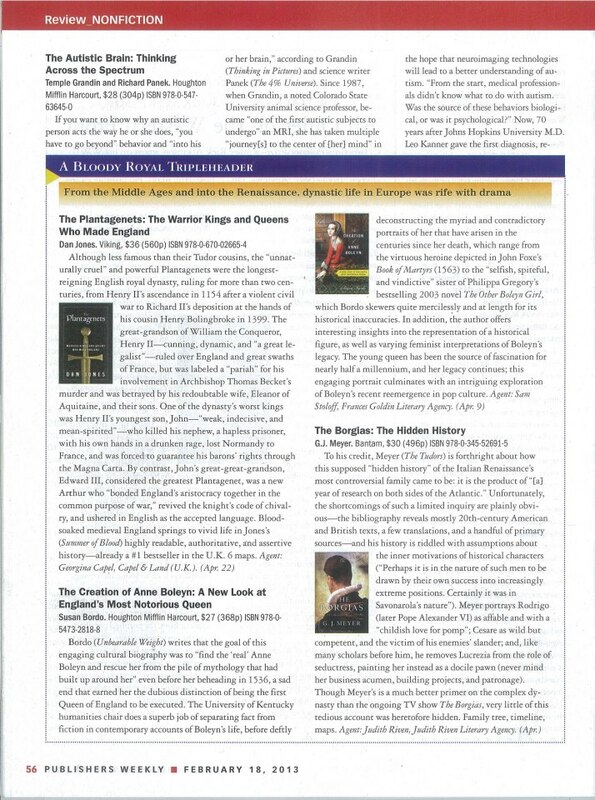 My review of this book appeared in the Historical Novel Society Review (July 2013). 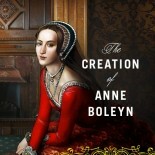 I have since been completing my dissertation on Mantel’s novels and include a chapter on how Anne’s rise and fall are represented. I refer to Susan’s book in this chapter, but read Mantel’s representation as that of a woman whose persecutors use the myth of the witch that, in the sixteenth century, linked her with the devil and sexual voraciousness. Henry was only one persecutor who initiated this invocation of the witch; Cromwell simply uses many of the themes associated with witches to pursue his case against Anne. I argue that Anne is made into a tragic scapegoat because she dared to speak her political views in public, a topic Mary Beard discusses in the London Review of Books in a recent article regarding the silencing of women’s public voices. This differs slightly from Susan’s interpretation. Thoughts?